Bulgaria needs to appoint a Commissioner to replace Kristalina Georgieva, who held the budget and human resources portfolios, and who resigned last October to take a job with the World Bank. Oettinger is taking over Georgieva’s responsibilities, having passed a grilling in Parliament yesterday (9 January). Commission President Jean-Claude Juncker allocated the German Commissioner’s former portfolio to the Estonian vice-president on a temporary basis. euractiv.com asked Ansip whether this allocation had become permanent now that Oettinger has officially taken Georgieva’s two portfolios, although he didn’t inherit her vice-president title. 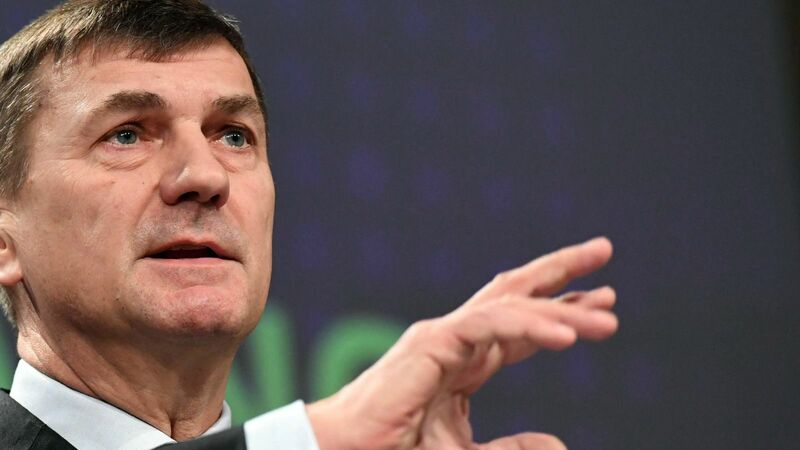 Ansip, who is responsible for the Digital Single Market and has been overseeing Oettinger’s work since the beginning of the Juncker Commission, confirmed that this was a temporary nomination. “Günther is a lucky person,” he said, explaining that the German Commissioner will inherit the “most interesting part” of the budget mandate from Georgieva, namely the implementation and preparations for the new negotiations of the long-term budget. “I’m replacing Günther temporarily,” Ansip said, adding that it is not known who will be nominated from Bulgaria for Commissioner and that it would depend on the qualifications of the candidate to take such a portfolio. Bulgaria hasn’t nominated a Commissioner yet, as the country is struggling to form a government after centre-right Prime Minister Boyko Borissov resigned on 28 October, following the victory of the Socialist-backed candidate, Rumen Radev, in the presidential election. In the meantime, Borissov, leader of the EPP-affiliated party GERB, is still in charge, but it looks like he has no intention of nominating a Commissioner until a caretaker cabinet appointed by Radev takes over later this month. Early parliamentary elections are expected by early April. If the caretaker cabinet doesn’t nominate a Commissioner, then this would become the task of the regular cabinet, which could be formed at the earliest by May or even June, as coalition talks are expected to be very difficult. EURACTIV recently asked the European Commission if it was a problem if Bulgaria remained without a Commissioner for several months. Chief spokesperson Margaritis Schinas said that this was not a problem for the executive. The issue could become a problem for Bulgaria, though. The country will take on the rotating presidency of the EU Council from 1 January next year, and the experience of other new members has shown the importance of having guidance from the national Commissioner, who is by default the country’s most valuable EU insider. The names of many candidates, mostly female, have been circulated. According to rumours, the frontrunner is Citizens for European Development of Bulgaria MEP Mariya Gabriel, who benefits from EPP backing, the largest force in the EU after the European elections. According to information obtained by EURACTIV, EPP President Joseph Daul has spoken to Borissov on the phone, in a lobbying effort to place Gabriel as a Commissioner. But the whole case could turn out to be an embarrassment for Daul, who is a family friend and was a witness at the marriage of the MEP. In 2012, Maria Nedelcheva married François Gabriel, a close collaborator of Daul. The French politician became witness to their marriage, which in Bulgaria is considered a bond as strong as being a family member. Gabriel has no qualification for the digital portfolio. Gergana Passy, a former European Affairs minister, has such qualifications, but she wrote on Facebook that she would not accept the job “for personal reasons”. Another person qualified for the digital portfolio is Ivailo Kalfin, a former Socialist MEP, but the Commission appears to prefer a female candidate for the job. Bulgaria is the only EU country that has never had a male commissioner. The issue of the nomination of the Bulgarian Commissioner is likely to be discussed when Radev visits Brussels at the end of this month. He assumes office on 22 January and has said that his first visit would be to the EU capital.